Published: October 04, 2017 17:36 Pratyush Sarup, Special to tabloid! AR Gallery, the brainchild of Amrish Patel, the man behind the Sonuslexica installation at Design Days Dubai 2017, is set to establish itself as a global reference point for pioneering and expressive design. Patel’s latest dedication to the Emirate, the My Dubai installation at Dubai Design District is a new landmark for city. This large-scale work that follows in established traditions of city-sign sculptures evidenced in other iconic cities, should be considered as a strong signal of the pedigree of creative innovation AR Gallery intends to champion. For its premier exhibition, the gallery partners with Downtown Design, the annual industry event dedicated to high quality, original design to present an edit of ground breaking design brands. Modern Masters: Exploring Craftsmanship in Commercial Design is curated by Rue Kothari, the Fair Director of Downtown Design. “This year the fair celebrates its fifth anniversary, and so we felt it was important to highlight the originality and craftsmanship behind the success of the brands we represent each year” she says. For this presentation, Kothari handpicked a singular piece from each brand that best represents the label’s individual craft, skill and aesthetic vision. From lighting and furniture to contemporary rugs, each featured brand embodies an inherent commitment to design innovation and respect for artisanal culture. Modern Masters is a demonstration of how perceptive design can enhance the human experience. Born in France and designed in Milan, CC-Tapis is coveted for contemporary rugs that entirely hand knotted by expert Tibetan artisans in Nepal. At AR Gallery, they present two works. Chipo by the Venetian design studio Zaven seeks inspiration in the geometries and colours of traditional African masks. Eye in Chains follows in the graphic, high impact design codes of its’ author, the Milanese artist Federico Pepe. They present Serendipity, a family of lamps identified by organic and primordial shapes inspired by nature, and manifested in hand-blown glass. Also flying the flag for the Italian way of design is the legendary sofa company Moroso. At the cutting edge of material innovation, original design and playful humour, the brand is known by its high-profile collaborations with A-list designers. 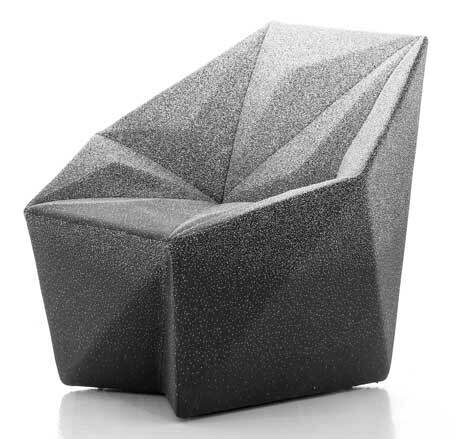 Case in point — the Gemma chair by maestro Daniel Libeskind. The sharp 3D edges of the jewel like seat are offset by the softness of its upholstery to explore concepts of contrast through form and materiality. Flare Side Table by Studio A.
Meridiani represents its ability to marry past influences with a contemporary vision through the Andrea Parisio designed Abel console. 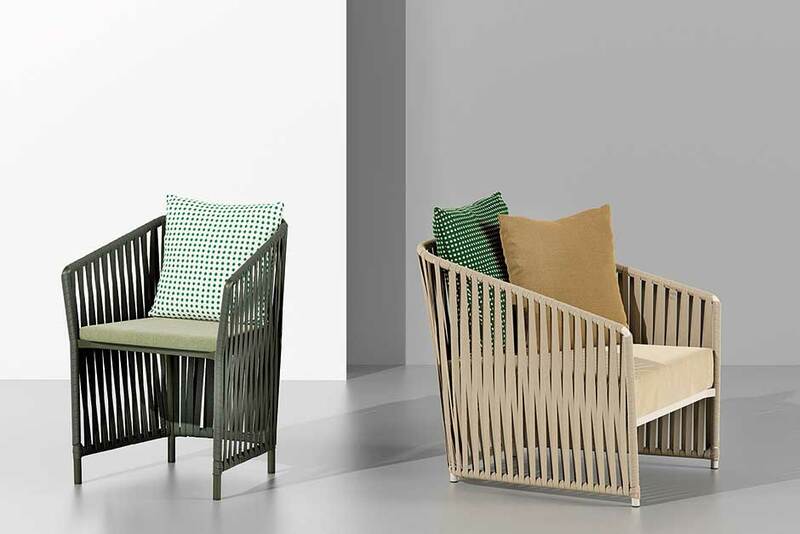 Living up to its reputation for sophisticated production and subtle colourways, Kettal, the outdoor furniture brand from Spain will present the latest iteration of the Bitta chair by designer Rodolfo Dordoni. Dordoni evokes memories of ropes used for mooring boats with braided polyester woven across colourful frames. Studio A, the multidisciplinary practice from Beirut represents the Middle East in this symposium of international design greats. Following founder Ahmad Bazazo’s philosophy, the atelier challenges notions of traditional design by pushing the boundaries of material experimentation to create objects of exceptional quality. 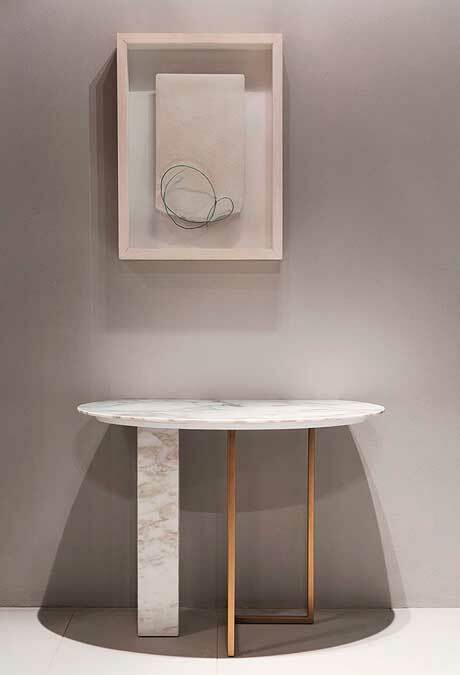 The Frame side table is a culmination of Art Deco flare mixed with a modernised, mechanical ethos. The exhibit opens to the public on 11th October and runs until November 5.